As the current owners, we celebrated our 10 year anniversary in 2017 with the addition of a brand new swimming pool. Yes that's right! Sea and Sand Cottages now has a cool and refreshing sparkling new swimming pool! 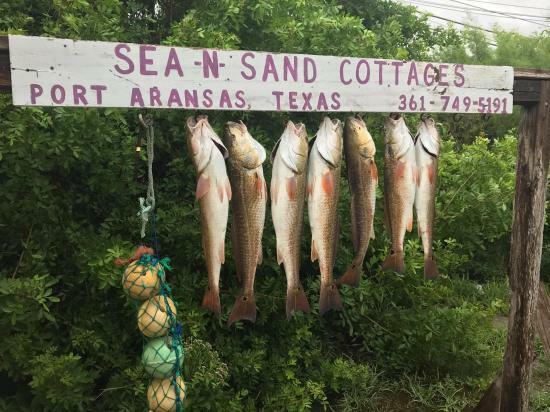 So pack up your family, favorite pet, beach towels, fishing gear, dive gear, surfboard, sailboard, boat, sunscreen and shades to head for "Port A" fun in the sun. 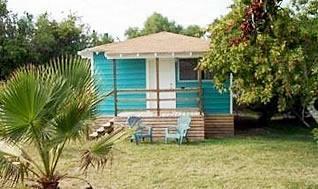 And then, after the day's activities, come home to Sea & Sand Cottages, where you can sit back on your own private, cool, and breezy porch, hang out at the pool, or settle inside your quiet air conditioned cottage to play board games or watch some cable TV. Remember, you're on "Island Time!" You can do anything you want or nothing at all. Located in the heart of "Old Town," you'll appreciate our quiet neighborhood within walking distance to the beach, great shopping, the trolley stop, grocery store, Winton's Candy Shop, fine restaurants and Fisherman's Wharf. You'll enjoy the privacy of your own 1940's, colorful cottage with a fully equipped kitchen that has everything you'll need to prepare a snack or feast. We also have a nice fish cleaning hut, and plenty of room to park your boat. So come on down for that beach getaway you so desire and deserve! 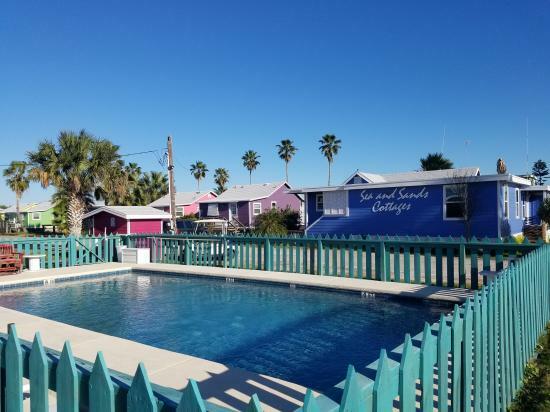 Sea and Sands Cottages has everything you need in the perfect Port A location!! !